Just wondering if I'm the only film shooter here. Personally I prefer to use my exakta and one of my carl ziess lenses and a polarizing filter to shoot, well, anything really. i know theres a lot of people still shooting film.... but whats the point? Well, untrue. First off there is no way to augment the poor dynamic range of digital save for on un moving objects where you can do multiple exposures. No amount of digital manipulation can put back what isn't there! If highlight details and shadow details are lost, the image is of no use really. That's exactly what digital does, creat meaningless, useless images. Second of all, pure raw resolution. A simple 35mm negative is good for 50 million pixels, a 6x7 negative is well over 200 million. A 4"x5" negative is a few billion. The other problem with digital and resolution is frame size. Even the best of glass is only good for 500 line pairs per millimeter. Most good quality profesional lenses are around 300 line pairs per millimeter, most consumer level lenses are around 100 line pairs per millimeter and your typical zoom lens is lucky to manage 75. This means, no matter how many pixels they cram on a litte aps sized, or even 135 sized frame, it can never ever ever match the resolution of a medium format or large format frame due to limitations of the lenses, which is a simple matter of physics. You have to sqeeze photons through the crystaline structure of the glass, and, there is lmiit. Physics is a mother [moderator edit]. This is why you see the consumer level cameras now going to larger sensor sizes. It was either make the sensor larger or make the glass better, and making the sensor bigger is the cheapest way out. The color accuracy on film is also much better. Generally speaking digital cameras create artificial levels of contrast, in part due to their poor dynamic range, in part due to piss poor engineering on all but the best cameras. And by the best I don't mean your cannon and nikon slr's, I mean the hassleblad ($35,000) and Mamiya ($10,000) medium format cameras. Simply, it's about getting the best. Why waste your time doing it if it isn't as good as you can possibly do? With digital, no matter how much you spend, you never get that. It's only fit for people that don't really give a [moderator edit]. Myself, I give a [moderator edit]. Why spend more money to get worse results? I just can't wrap my head around that line of logic. Why do that? Does this mean this website does not consider film a valid format? If that's the case, i'll remove my account now. It had nothing to do with that. Typically the show-off forum is for showing off your photos. But you're right - that forum is also for discussion of these types of things and I should've left it there. I suspect you'll get more discussion from the lounge, but it was my mistake, I'll move it back. Second of all, pure raw resolution. A simple 35mm negative is good for 50 million pixels, a 6x7 negative is well over 200 million. A 4"x5" negative is a few billion. The other problem with digital and resolution is frame size. Even the best of glass is only good for 500 line pairs per millimeter. Most good quality profesional lenses are around 300 line pairs per millimeter, most consumer level lenses are around 100 line pairs per millimeter and your typical zoom lens is lucky to manage 75. This means, no matter how many pixels they cram on a litte aps sized, or even 135 sized frame, it can never ever ever match the resolution of a medium format or large format frame due to limitations of the lenses, which is a simple matter of physics. You have to sqeeze photons through the crystaline structure of the glass, and, there is lmiit. Physics is a mother ****er. This is why you see the consumer level cameras now going to larger sensor sizes. It was either make the sensor larger or make the glass better, and making the sensor bigger is the cheapest way out. Simply, it's about getting the best. Why waste your time doing it if it isn't as good as you can possibly do? With digital, no matter how much you spend, you never get that. It's only fit for people that don't really give a ****. Myself, I give a ****. Why spend more money to get worse results? I just can't wrap my head around that line of logic. those little small details that you're looking for from film performance are not that important to clients. I shoot digital because it makes me money and doesnt constantly cost me money to buy film and develop. i shoot with the highest quality prime lenses and they are all tack sharp. and i can even sharpen them even more in post. when shooting in RAW the possibilities are endless and the camera does not do any of the contrast adjustments or color adjustments that you mentioned. 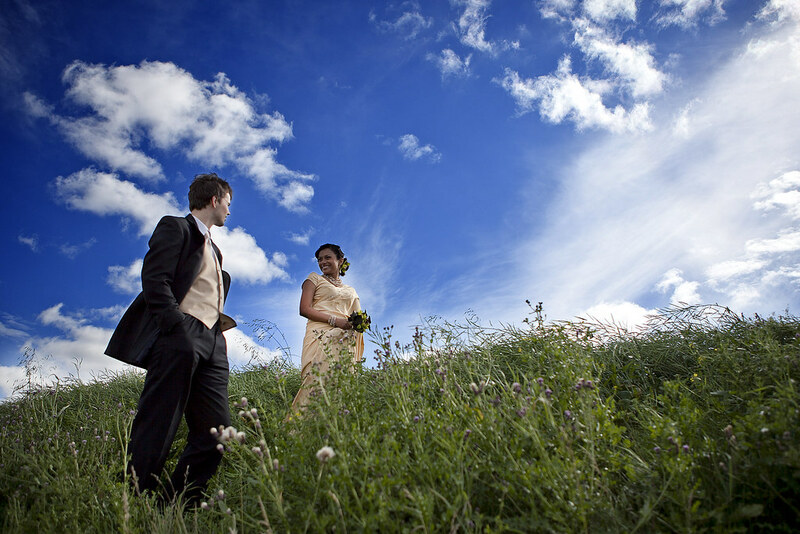 any normal image would either show the couple under exposed or the sky over exposed. Well sharpening in post is just contrast tricks. It's not really sharpening anything. You can never really create what isn't there. The resolution is only so high of any lens, you can't beat frame size. That said, I assume when you say using quality glass, you mean the Carl Ziess stuff correct? I suppose if money is the only thing you're worried about with a photo, digital makes sense. That said, I've been making a killing at the bmx track with film. It's all down to fill flash at high frame rates. Currently no good digital cameras, save for the Mamiya and the Hassleblad have between the lens shutters. Everything else is focal plane, which means no flash sync above 1/250th. I shoot an old Mamiya press at 1/500th and a vivitar 283 dialed back to 1/4 power to break up the shadow inside a full face helmet. Now mom and dad can see juniors stupid little face. Sure you could burn the face in, however, you do so with poor detail, that's just the nature of burning. fill flash gives better results. Film isn't that expensive, even in medium format, and printing, at least in black and white, is far cheaper than digital prints, and will last much longer. Not to mention with a print processing machine, my prints are done in 3 minutes, dry to dry. Rolling out a 20x36 print in 3 minutes is more than a little bit faster than most digital setups. And really you could get the lattitude you're speaking of with a polarizing filter. On a clear day like that, you can darken the sky several stops. That said, I'm not sold on that photo either. Not digging the skin tones at all. ok but it wasnt done with a polarizing filter. it doesnt matter if you like the photo or not, the dynamic range is there with no fill flash. thats the point. i am not a pixel peeper. and i photograph subjects, not graphs. so the ziess lenses mean nothing to me. as long as the equipment allows for a good quality, a good photograph is determined by the photographer and not the equipment. no client is going to ask for a shot to be taken on film because they want a certain highlight or shadow to be present. Right, but to [moderator edit] with the clients. It's about doing your best. Your taking their money, telling them they are getting the best, and they aren't. It's dishonest. I suppose if you have no sense of self that's a perfectly fine way to operate a buisiness. Personally mine operates on honesty. People send me their cameras, well, one because I'm one of 3 people that will fix your exakta, 2, I'm going to do as good of a job as I possibly can every single time. You don't seem to care to do that. Justifying using second best with "I don't really care" doesn't do your reputation any favors.